Kyle’s book, Robot Jesus and Three Other Jesuses You Never Knew. Click here to listen to Episode 3: Scientology’s Robot Jesus (Right click to download). Click here to listen to Reconnect on iTunes! 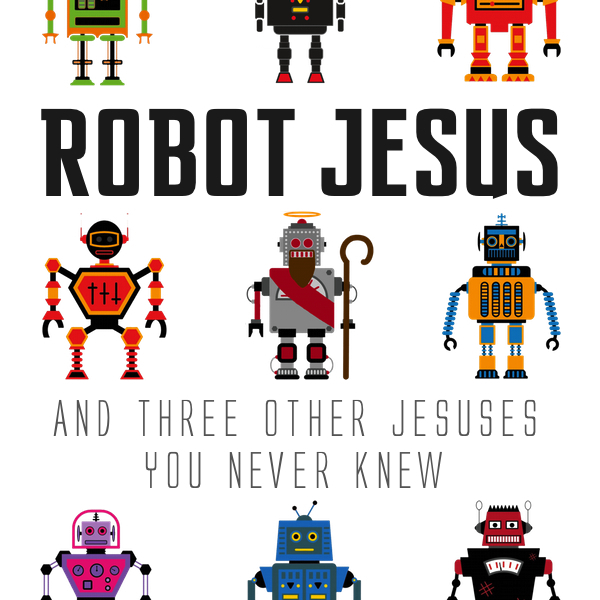 Kyle Beshears is the author of Robot Jesus and Three Other Jesuses You Never Knew. Robot Jesus is the Jesus of Scientology. The other three Jesuses are Big Brother Jesus (Mormonism), Archangel Jesus (Jehovah’s Witness), and Silver Medal Jesus (Islam). For each of these religions he shares their origins, history, teachings, and practices. Each chapter ends with tips for communicating the Real Jesus of the Bible to each of these religious groups. Click here to download a free chapter of Robot Jesus, which just so happens to be the chapter on Scientology and Robot Jesus. Kyle also created the Reconnect logo! He won a design contest I ran. His award is getting ten commercial plays on the show during this first year, so you’ll hear more about Kyle’s work via the commercials (and likely much more, since I plan to have him as a guest to cover the other chapters of his book).